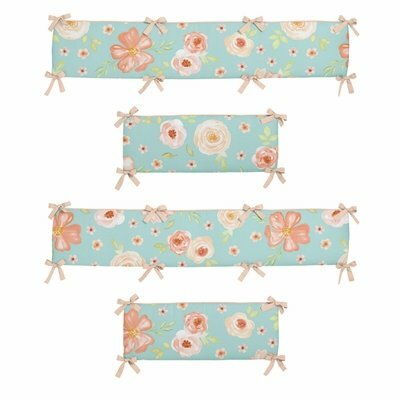 Now you can complete your nursery decor with this Sweet Jojo Designs Turquoise and Peach Watercolor Floral crib bumper. 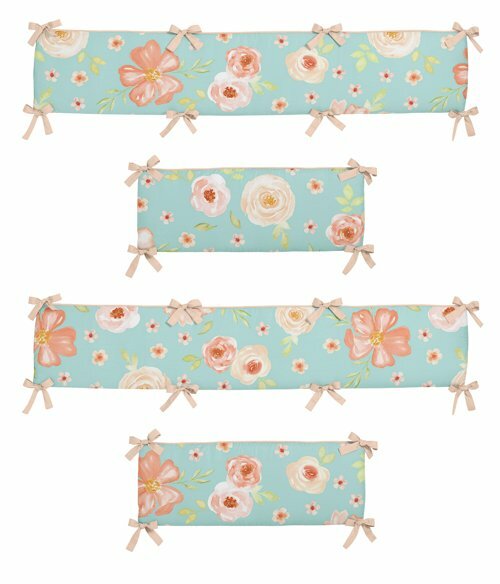 This bumper is created using the watercolor floral print on both sides, and is finished with peach piping and upper and lower ties. The color palette of turquoise, peach, coral, pink and green will set your nursery up in high style.